Did you know many companies offer a matching gifts program to encourage charitable giving and volunteering by their employees? 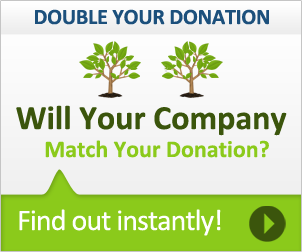 A matching gift program is a corporate philanthropy program designed to support the nonprofits which a company’s employees are passionate about by matching donations made by employees. Many companies even match the entire donation, which DOUBLES the donation for Scouting! Click on the image below to see what programs are available to you or ask your company today about matching a donation to support Scouting. Scout parents and volunteers are giving of their time to the Boy Scouts; without them there would be no Scouting. Many businesses give back to the organizations their employees give their time to through the Dollars for Doers program. In this program, a company will donate money for volunteer hours worked by its employees in support of the Boy Scouts. Ask your company's HR representative about Dollars for Doers or Volunteer Incentive Program.